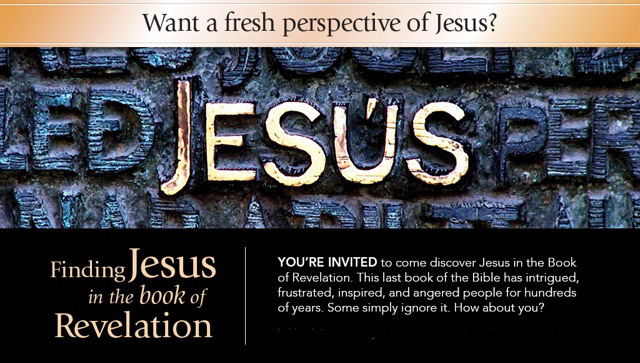 Revelation 101: Finding Jesus in the Book of Revelation. As we move into the holiday season at the end of this year, please mark your calendars for our January 25-February 2 intensive seminar on the Book of Revelation. This will take place over the span of just one week, with meetings from 7:00-8:30 each night beginning Friday evening, January 25. We’ll make this part of our church service and continue from Sunday through the next Friday night for a week. Our wrap up will be on Sabbath, February 2, with the church service and final session after lunch. Please mark your calendar for January 25-February 2, 2019 as we find Jesus throughout the entire Book of Revelation.